This summer I made the decision to stay in Houghton, take classes, and explore the Keweenaw during the warm weather before I start my last year here at Michigan Tech. With the Keweenaw and the U.P. in general being such a beautiful place during the summer I started to think about all the things I wanted to do and see this summer and I began to become overwhelmed by all the possibilities. I knew there was so much to do and I didn’t want to leave out anything so I thought, what is the best way to make sure I remember and accomplish everything I want to this summer? In the end I decided on an affinity diagram. An affinity diagram is a tool that is used by groups to gather and sort ideas, opinions and issues when brainstorming. When creating one you first pick a topic; in my case summer adventures. 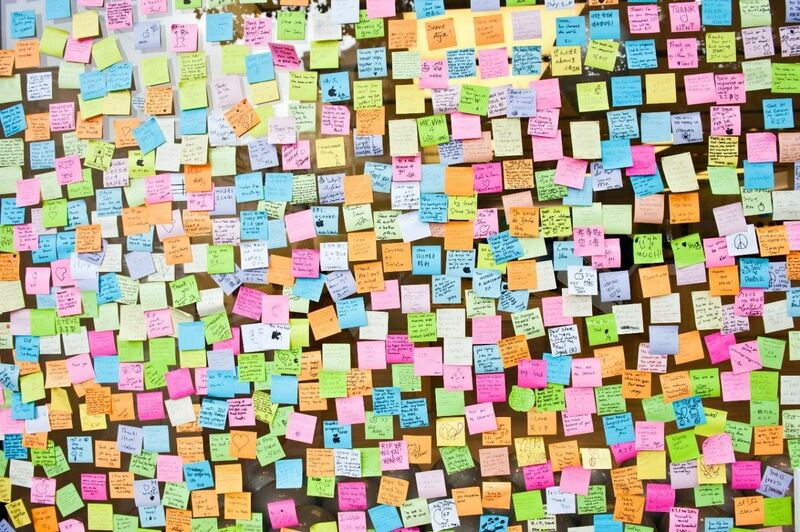 Then you and whoever else you want to be involved, in my case my friends, each take a stack of sticky notes and write each idea on a separate sticky note. You then put them all in a central location and then categorize them into groups based on similarities. This way you have a chance to write down all of your ideas before deciding if they fit in with everything else. I decided to use this tool because I figured as the semester progressed every time my friends or I thought of an activity we wanted to do this summer we could write it on a post-it note and stick it on a piece of poster board. This way we won’t forget anything we think of and we can see what everyone is interested in. At the end of the semester we will look at all the ideas and categorized them by which are similar and then rank them to figure out what we are going to do first. This will help ensure we have a fun productive summer. As you can see affinity diagrams can be used for things as simple as summer adventures or things much more complicated. I love taking the opportunity to use lean tools outside of work and in my personal life. It helps me to see the real value of lean and continuous improvement. I hope you guys take the opportunity to use lean tools in your lives too! 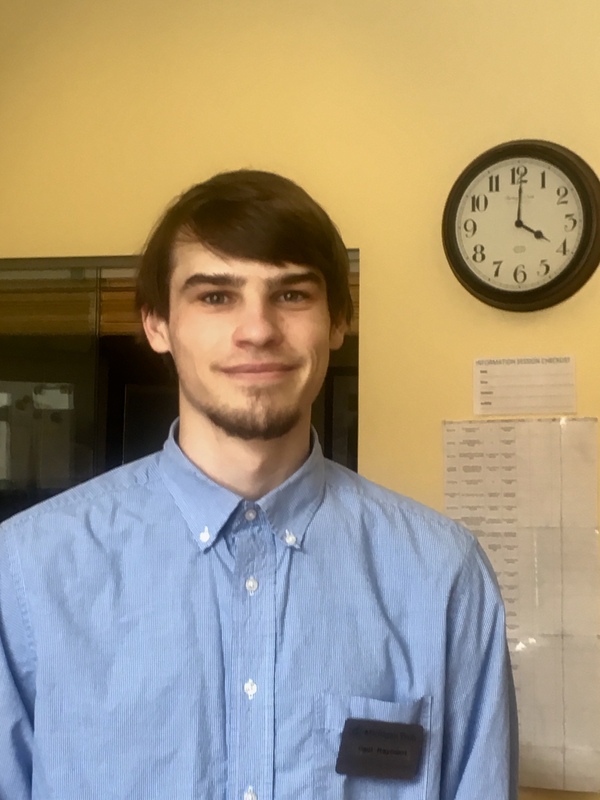 Joining the team in the Office of Continuous Improvement is a new student Process Improvement Coordinator (PIC), Paul Rayment. Paul is a first year student pursuing a degree in Computer Science. It is with great pleasure that we welcome Paul! He will now take over and introduce himself. My name is Paul Rayment. I was born in Seattle, Washington, and at the age of two I moved to a small town in the thumb of Michigan named Harbor Beach. I am currently approaching the end of my first year here at Michigan Tech. It has been an interesting time up here, with most of my time filled up with progressing through my classes. In my spare time I love to play a little soccer, play a bit of euchre, play a few songs on a cheap keyboard, and maybe even spend some time programming a few small programs. I am in the process of training to be a student Process Improvement Coordinator, and I am learning the principles of Lean and all things related. Thus far, the material has been interesting, and I look forward to the experiences here at both Michigan Tech, and at the Office of Continuous Improvement. One of the new members joining our PIC team this year is Sarah Smyth. Sarah is a first year business student here at Michigan Tech. She is very excited to learn more about the lean culture and implement lean into her own life while helping to promote it around campus. Now Sarah will tell you a little bit about herself! Hi! My name is Sarah Smyth and I am training to be one of the new Process Improvement Coordinators. 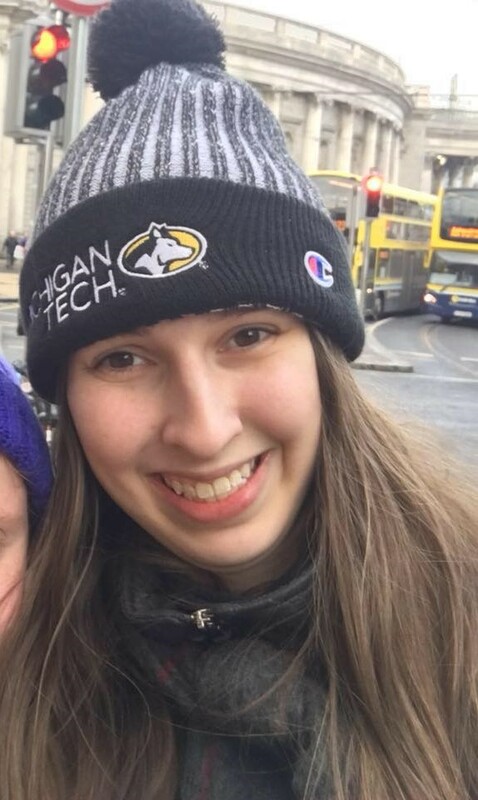 I am from Rochester Hills, Michigan and I am a first year Business major at Michigan Tech. I love to make things and create art. My favorite things to create are necklaces and paintings. For the last two years I have ran my own jewelry business where I sold my necklaces in local festivals. I am so excited to be here and join the Office of Continuous Improvement. Previously I have interned at a accounting firm and had the opportunity to work with payroll accounting and quarterly business taxes. I loved that experience and look forward to learning as I go in the Office of Continuous Improvement. While my experience with lean is limited, I am sure I will pick it up soon from my co-workers! Now I will admit, I can be forgetful and scatterbrained but with lean I can keep better track of what I need to be doing. Some students may know me from around campus as the Douglas Houghton Hall Treasurer, and the Women’s Leadership Council treasurer. I love those clubs and I know that for me, lean can help me plan out my work so the clubs can have a better time. My favorite project in these clubs so far has been the ability to plan and do the fundraising for a trip to a an expo in Chicago in the fall of 2019. I loved having the ability to plan everything as well as perform a cost analysis per person to see the most affordable dollar range to bring. Opportunities like becoming a Process Improvement Coordinator and running events has reaffirmed that I was right in my decision to come to Michigan Tech. I know that this is the place where I can grow into the person I want to be. The more I learn about Lean and Continuous Improvement the more I realize how many different topics and tools it entails. 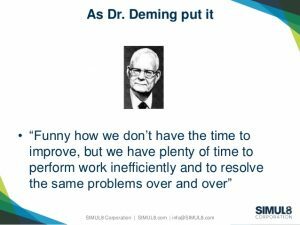 Because there are so many tools and topics it’s easy to get caught up in all of them and forget about the simple aspects of Lean and Continuous Improvement. There are many simple tools and concepts you probably already use on a daily basis but, have never thought about them as tools. One tool I find myself using often without even realizing it, is the 5 why’s tool. This is probably one of the simplest lean tools out there. 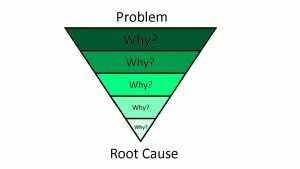 5 why’s is a questions-asking method used to determine the root-cause of a problem. 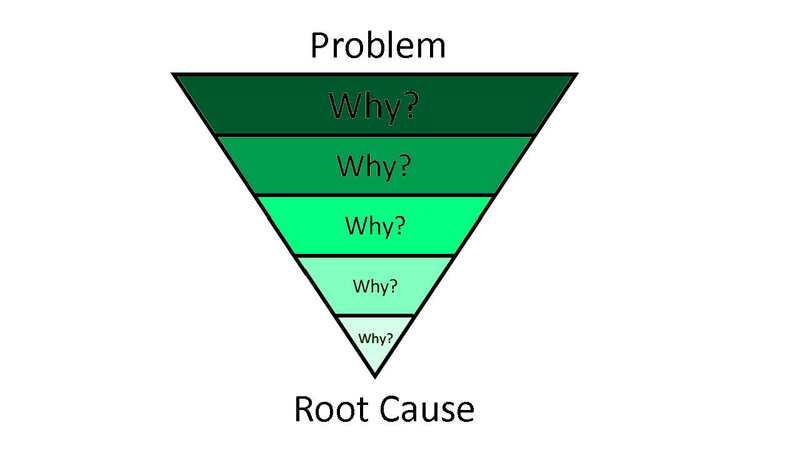 It prompts you to continue asking the question why until you have found the underlying cause of the problem. As you can see from the conversation, there was an easy solution to his situation but, my friend needed a little help mapping his way to the solution. The 5 why’s is a good tool to use when you don’t have any supplies to draw out a diagram and all you have is your brain and a problem. There are many lean tools that are just as simple as this one that can help make using lean in your everyday life simple! Hello everyone, I know that this isn’t what we usually do with our blogs–this is more personal. Let me introduce myself. 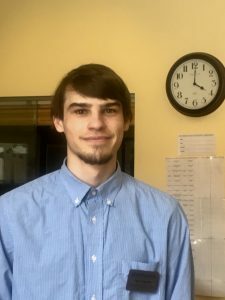 My name is Mitchell Carpenter, I am a second year here at Michigan Tech, and I have been working in the Office of Continuous Improvement for about a year now. One of my co-workers, Rylie Kostreva, recently wrote a blog about how she was going through a coaching process. Since then she has begun to take me through the process as well. Explaining to someone about the process of being “coached on how to coach” can be a bit confusing, so try not to get lost! My journey through this process began with Rylie asking me a simple question: “Hey, do you want to be coached on how to coach?” At first I wasn’t too sure what she meant, but from what she was telling me about her own journey it sounded interesting. I agreed, and we scheduled a launch meeting. The launch meeting was interesting; she handed me a stack of papers, and we went through what our normal meetings would look like and how I would have some homework to do before each meeting with a reflection to write after. I didn’t know why I was doing any of it; it was just something to do. It very quickly evolved into something that I enjoyed doing; it got personal and helped reveal some things that I didn’t even know about myself. One of the major things that Rylie had me do was create a leadership statement–a statement that describes who I want to be as a leader and how I want to coach people. I started the process by asking people who are important in my life the question of who I am to them. This helped me better distinguish between what I am doing already and what I want to do in the future. My statement was, “Help people through the labyrinth of life as a friend.” Rylie pointed out that I could have ended it after the word “life” but I didn’t, and that last bit is what made the statement mine. The next task was to make an illustration to go along with my statement. When I did, it didn’t feel complete. Rylie suggested that I do a card activity where I laid out a bunch of pictures and narrowed it down to 5-7 cards. After doing so, a trend emerged, a trend of loneliness and calm. After analyzing this I was able to come up with an illustration that fully captured my statement. My illustration shows two people, myself being represented as the one in back. This describes my statement because I see myself as being a leader behind the person I’m leading. My focus is to let people lead their own lives, but I’ll help guide them through it, be there for them when they need me, and give them space when they need it. That is who I want to be, a friend first and a coach second. Rylie then suggested that I go deeper with my analysis of the pictures, so I did. I found that to me loneliness isn’t always bad, it can be needed, but it can also be terrible. It’s something I have experienced a lot in my life and have been afraid of at times. Calm also has a significant role in my life, especially in today’s world it is important to be calm in order to be the voice of reason. Both of these things are important for me to help lead as a friend. I want to keep people from feeling lonely and being afraid of being lonely. As a friend I can help people remain calm in times of distress and make the right decision for them. My next step is to meet with different people in order to get an outside perspective on my coaching process and possibly have them reveal different aspects of it that I didn’t see. I am looking forward to this next step and can’t wait to see where coaching leads me. This journey has meant a lot to me personally and I am very grateful to Rylie for asking me if I wanted to go through it with her. Why Didn’t You Just Say So? During the winter months, not only am I employed in the Office of Continuous Improvement here at Michigan Tech, but I’m also employed at our university ski hill, Mont Ripley. At Mont Ripley I’m a certified professional ski instructor and instruct two advanced PE classes throughout the week. Last week I was working on helping my students to learn how to pole plant and the importance behind it. This is a lesson I’ve taught many times to many students with highly variable demographics. Normally I would start this lesson by relating to down hill skiing to other sports, I would segway into asking if anyone has heard of a pole plant, then I would explain how to go about pole planting and why it is we pole plant, then I’d do a demonstration and move the group into an activity to practice for themselves. For this particular lesson I followed my regular lesson plan progression, except I unintentionally left out the piece about why pole planting is important. This single, simple slip-up made such a dramatic difference in the flow of this lesson compared to all of the others in the past, while also making my job incredibly hard to succeed with on this particular day. We were 50 minutes into our 90 minute lesson when I was scratching my head in confusion, “was it because this group was international? Have I lost my touch? Where did my deployment fail?” I honestly couldn’t figure out what was missing. Until one of my students asked me, “What is the point of this lesson? Why are we learning this?” Ah! Why hadn’t I said that in the first place?! I finally figured out what I was missing. The funniest part about this whole lesson was that as I was going through the flow of my lesson in my head, I did “mention” the importance of pole planting, but I never verbally communicated it. I may have demonstrated its uses and applications implicitly but I never broke it down and communicated it explicitly – so the value of the first 50 minutes of my lesson was lost. Luckily I had 40 minutes left and I was able to apologize and answer the questions I meant to display earlier. One of my favorite things about down hill skiing is the chair lift rides. After every run, you are granted a minimum of three minutes to reflect – whether that be on your lesson plan, your skiing, your day, even your life. Last week I reflected heavily on leaving out that one piece of information, I reflected to try and identify other pieces of inherent knowledge that I possess but may not have communicated because it was so inherent to me. I also reflected on where I’ve experienced this sort of thing before. When we leave things out, even one thing, we can hit a wall that we can’t progress beyond unless we communicate the things we didn’t say. Inherent knowledge that isn’t communicated plants a seed for assumptions, this allows five people to leave a conversation with five different understandings of what the conversation was. Communication must be open and mutual, I knew I was missing something in my lesson last week but I wasn’t able to correct it until my student brought to my attention what I left out. Who doesn’t love spaghetti? It’s one of the most iconic pastas out there! Spaghetti is easy to make and tasty to eat, what could be better? Here at the Office of Continuous Improvement, not only do we like our spaghetti in pasta from, but even more so in diagram form: a Spaghetti Diagram! Ever do something every day and suddenly realize it takes you way longer than you expected to, or that it took longer than it should? I came to this realization the other day while packing my backpack up to leave for school. I recognized it was taking me 10 minutes to put some binders, pencils, and other common school supplies into my bag, when really it should only take about 5 minutes. I thought what better way to map out my process then a Spaghetti Diagram! A Spaghetti Diagram is a map that used lines to show the different paths you are taking when you are completing a process. 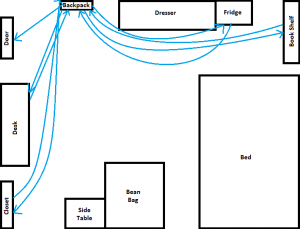 At first glance a Spaghetti Diagram sounds strange and chaotic, but it is actually a very helpful Lean tool. You first map the normal process that you do every day, then you look at the paths that over cross or are unneeded and change them or take them out. This results in a streamlined process. 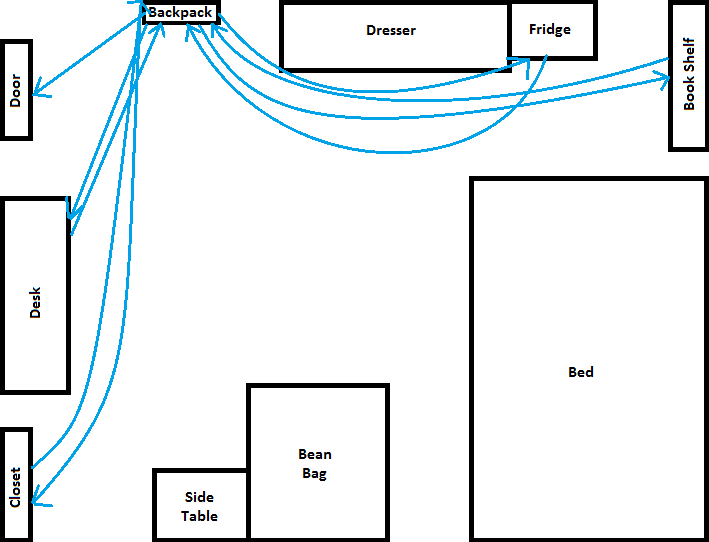 Below you will see my first spaghetti diagram of the steps I take to get my backpack ready on a normal day. 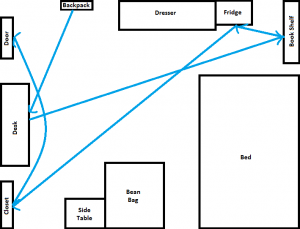 After looking at the diagram and the steps I take every morning, I could see that by carrying my backpack around throughout the process and not returning to it every time I retrieved something to put in it I would save multiple steps. Below is the updated diagram and steps. As you can see the steps in the process reduced from 10 to 6, and all I needed was a little help from the Spaghetti Diagram to see the root cause of my problem. By mapping out my steps and the process, all the extra work became visible. This lean tool and many more can be very helpful in situations not only at work but also at home! And who doesn’t love spaghetti? Winter carnival is over and it’s hard to believe that we are already starting week 5 of the semester. And you know what that means… it’s Midterm season. Now, as devastating as that may sound, it’s going to be okay. You’ve got Lean on your side. If you use Lean principles in the correct ways, they can help you become fully prepared for your exams. Lean principles such as Kanbans, Affinity Diagrams, and 5S can help make your studying experience go as smoothly as possible. The Personal Kanban has been written about many times on this blog, but that’s only because it truly is useful. Personal Kanbans are meant to be used to keep your schedule in tact no matter what you may throw at it. 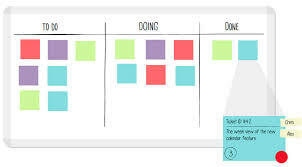 With a Kanban, you can keep track of what you need to do, what you’re currently working on, and what you still need to start. At the office of Continuous Improvement you’ll be able to find Kanbans in almost every corner, as each one of our Process Improvement Coordinators has their Kanban prominently displayed at their workstation. As far as studying, personal Kanbans can be used to keep track of what you need to do to study, so you don’t get caught up in something else and lose track of what you have or have not done yet. Affinity Diagrams can be used to help you organize your thoughts. Start with an open space such as a table, desk, or wall. Then you take a pad of sticky notes and write down everything you can think of for the subject you are studying. Then you can start sorting them into categories and develop connections between different aspects of those categories. This can help you develop internal connections and help you better relate ideas. 5S is a Lean organizational technique that consists of, surprise, five steps. These steps are: Sort, Set, Shine, Standardize, and Sustain. 5s-ing your work space can help make it cleaner and more organized. It has been shown that having a cleaner work space makes it a less stressful environment and having less stress will allow you to focus on studying. Lean is much more than just a set of tools, to many, it is a lifestyle. 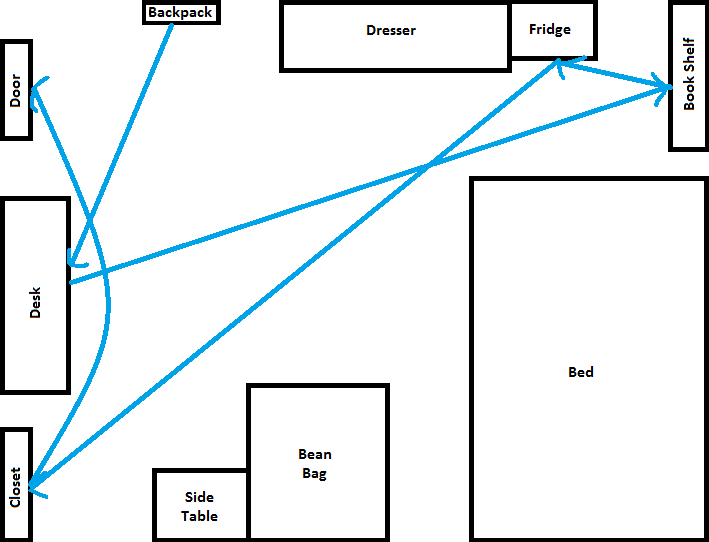 A personal project of mine that I have been working on is to implement Visual Management around my home. 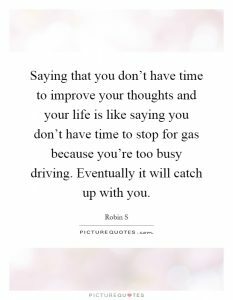 Too often I was finding myself with priority things needing to be done all at once. I would have loads (at least two) of laundry to do at time, chores piled up, all along with homework and readings to be done for class. The thing is, I was trying to do most of these things at the last minute, and it all needed to be done NOW. I decided I wanted to change my situation, and in a Lean way. I mean, I implemented Lean and tried different experiments often at work, why should it be any different at home? 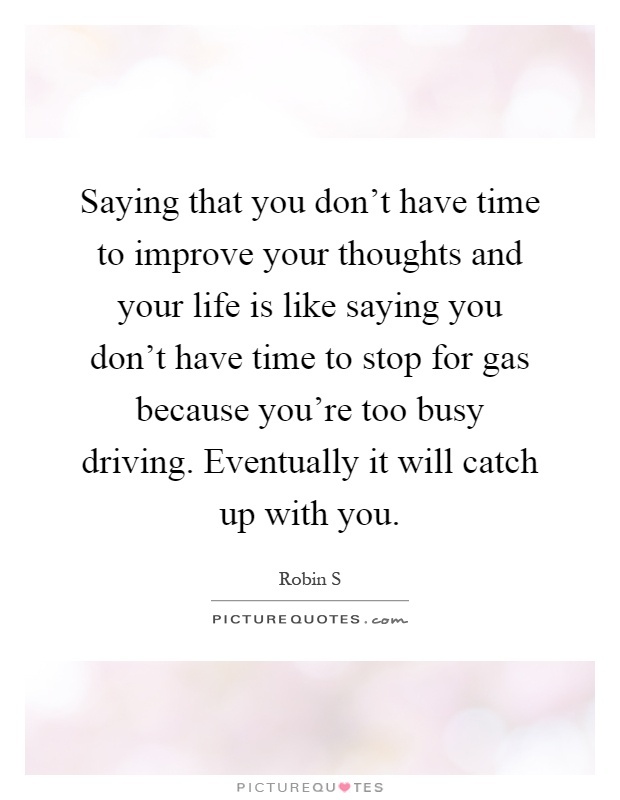 My current situation was that things just weren’t getting done, even though I was “using” tools such as Google Calendar and setting aside specific times to do things. I tried other uses of Visual Management such as putting together a large kanban board, making a huge (yet complicated) whiteboard calendar, detailing my Google Calendar Further, etc. However, none of these stuck. The kanban? I never took the time to use. The whiteboard calendar? It was over-complicated and took a lot of time to update. Detailing my Google Calendar? That didn’t help because I didn’t look at it beyond classwork once I was home. Overall, it just seemed like I wasn’t using anything and nothing was sticking. I liked the work of putting together a board that looked nice and was filled with all my tasks, but then it became daunting, and then I didn’t use it at all. I began to see a trend of over-processing and no sustainment. The over-processing happens when I make a tool that is supposed to be helpful, so complicated that it no longer is. My whiteboard took more time to update than it did to look at anything, making it neither efficient nor helpful. I didn’t stick to taking five minutes out of my day to add a sticky note or two to my kanban, so I didn’t sustain it and tasks were forgotten. 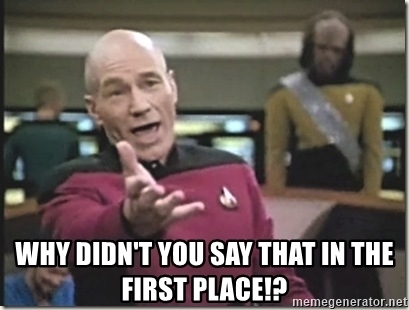 Recognizing these things didn’t make me feel bad (it happens!) but it did fuel my resolve to keep trying to find something that does work for me. 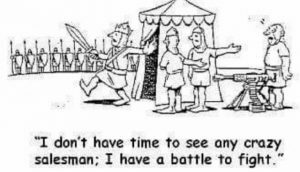 Sometimes we find that our Visual Management has morphed into something that is more work than help, and that’s okay. 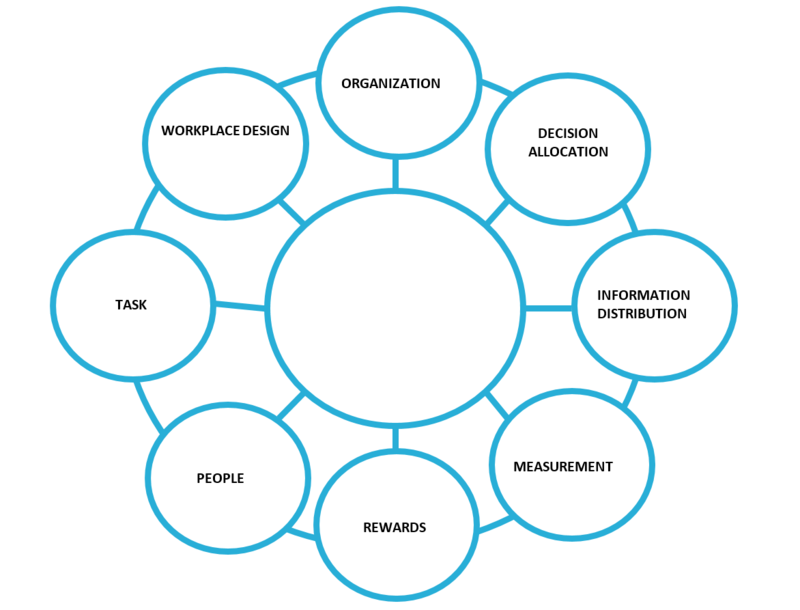 PDCA and try a new experiment in another way. So that’s what I have been doing, starting fresh with a new, simple kanban board. Funny thing is, I’ve done the same thing at work! I’ve also been experimenting with different types of Visual Management: putting a line across the hamper to trigger when a full load is, being messy with reminder notes, and making separate calendars for things such as homework and readings. Visual Management may look different between two people, so experiment with finding what works for you. Do you use Visual Management in a different way? Are there certain tools or exercises that you use to help you? We’d love to hear more from you, feel free to share in the comments below! This semester I’m taking a variety of classes outside of my major, particularly in the humanities department. As I’ve gone through each semester prior to this one I’ve always had a reason for why I was too busy for my humanities courses, and why future me would have more time than the current me. Well, here I am in my final semester, about to graduate and taking four humanity classes. Each day I laugh a little when reflecting on the fact that I thought that future me (now present me) would love it if all of those time consuming classes were in a single semester. Let me tell you I’m not loving it. So what happened? I fell into the lie that we all tell ourselves, I don’t have time. What we’re really saying is I don’t have time right now, but I will later. Then later becomes even later and later until we’re in a position that we can’t progress from any further unless later becomes now. This strategy usually, ends up hurting the future us more than implementing bits and pieces at a time would in the NOW. Believe me, I WISH I had taken my humanities in a more dispersed fashion, because now I really don’t have time, but I also don’t have an option. I did it to myself. There’s many comic strips and people in the world who have talked about this topic, and many have shared thought provoking insights, like the ones pictured below. Instead of reiterating what those before me have done already let’s look at the I don’t have time lie in a different way, what do you do when someone give you this excuse? Let’s highlight the last two areas, Individual Predisposition to change and Not enough work systems have changed. The Late Majority who are skeptical but are subject to broad peer pressure. These people are good to have on any team as they slow the thinking down to ensure changes aren’t being made just to make change. An Organization or a group can’t just say, “We’re going to make changes,” they first must make the necessary shifts to support and enable the changes. It’s important to always consider whether the environment allows for the change before implementation occurs, if not make adjustments. You can do this by building your improvement team up with individuals from each of the adopter types to ensure that you’re getting validating all different perspectives and concerns. Change takes time because its new territory to navigate, implement or sometimes even learn, but change is necessary for anybody to keep moving forward towards perfection. S. Goltz PhD. 2019. MGT3000, Organizational Behavior. Michigan Technological University.